I’d like to visit this wonderful country. Walmart seems to have been around forever. This store can supply us with the goods we can’t even imagine. Its fame has reached the international level, so it is small wonder that people across the world start shopping at the place. 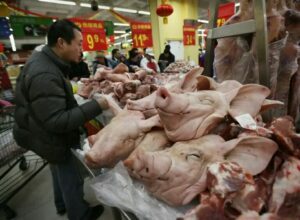 When the store expanded its market to China, the locals were thrilled. The customers say that the items at the convenience store of a dream are mostly the usual stuff. However, there are some additions that will startle even the most experienced of buyers. 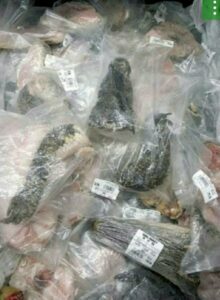 The Chinese retailers have decided to surprise the visitors with the products they cannot find elsewhere. 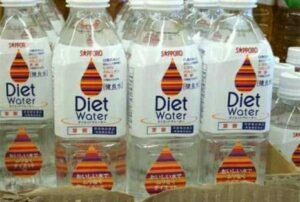 Some people actually fall for the labels that are displayed in the supermarket, and this item is not an exception. 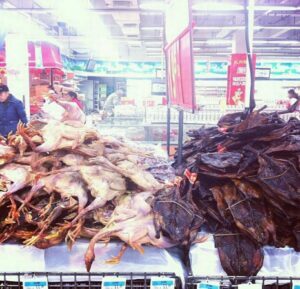 Once you walk into the Chinese Walmart, you may have an impression that you are in France. 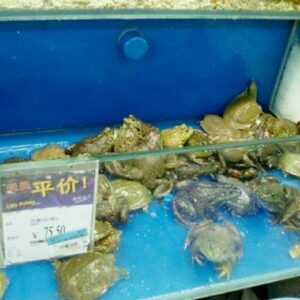 These frogs are real and ready to be sold! This looks like a nightmare for any vegetarian, but the locals seem to be okay with this threatening type of display. Stuffed alligator is the kind of meal that is considered too exotic for the European taste, and you will agree once you see the image below! 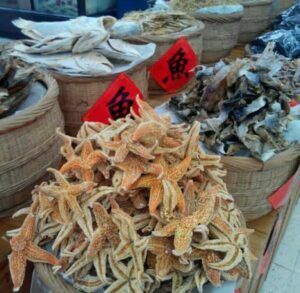 If you think that one cannot eat Starfish, our foreign friends will convince you that it is entirely possible. 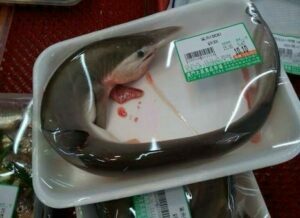 Sharks are put on display for anyone to buy, and the photo certainly seems scary. 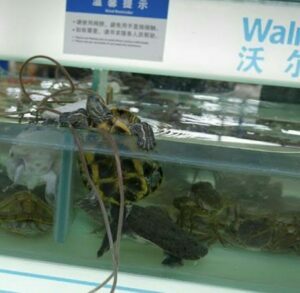 These turtles look they are trying to escape their narrow confinements. 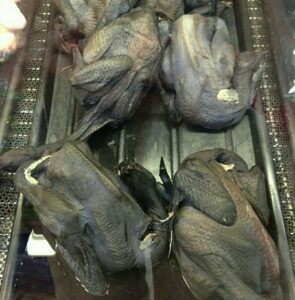 The black skin chicken is a delicacy in China. It is also considered to be a powerful aphrodisiac. These piles of chickens may impress anyone who is walking by! 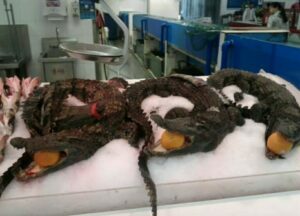 The dried reptiles might be a view to behold, but we doubt anyone but the brave-hearted will buy them from here.